Baleen, found in the mouths of filter-feeding whales, is similar to bristles and is made of keratin, the same substance found in human fingernails and hair. 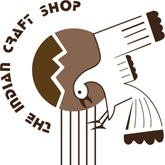 The difficult process of preparing and weaving this material results in a beautiful basket rich in culture and artistry. 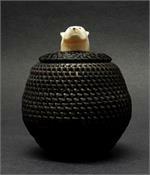 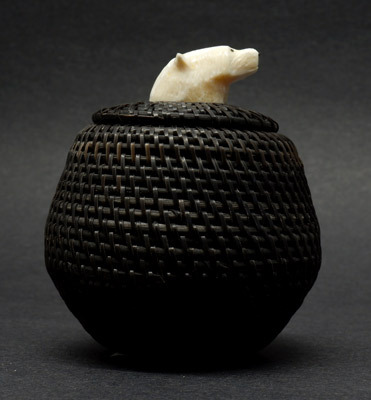 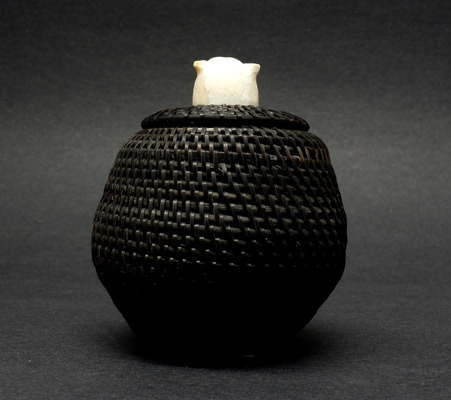 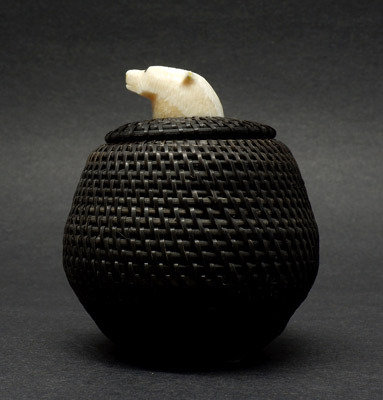 The finial atop the basket is a bear head carved from walrus tusk ivory. 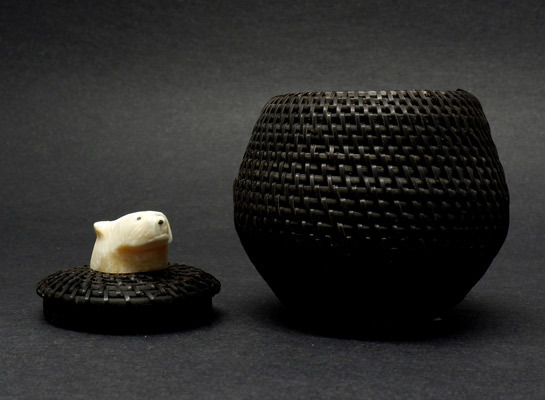 A disk of walrus tusk ivory is also found at the bottom of the basket where the artist, Harry Hank (Inupiat), signed the piece. Height (with finial): 3.25" Width: 2.75"